Medical University of Bialystok. Faculty of Pharmacy 2. Why study Pharmacy in Bialystok? I would like to extend a warm welcome to all students in the Faculty of Pharmacy in Medical University of Białystok. 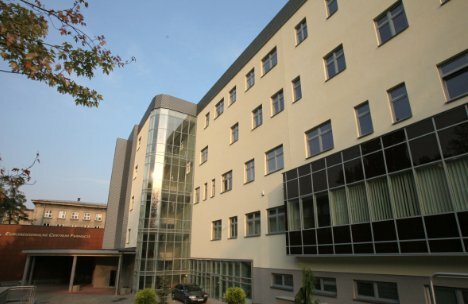 Our faculty is recognised as one of the leading centres for pharmacy education in Poland and enjoys an outstanding national and international reputation for research and innovation. Our major scientific interests include new synthetic and natural drugs, evaluation of drug mechanisms, drug toxicity, pharmacodynamic and pharmacokinetic profiles, pharmaceutical technology, medical diagnostics with special emphasis on the assessment of the pathomechanism of neoplastic, inflammatory and metabolic diseases as well as determination of their biomarkers. As a student you will here benefit from the innovative teaching practice and expertise of the faculty’s renowned academic staff, who, as well as being known as leaders in their field, are highly regarded for their friendly approachable manner. I hope that you find your experience with us an enriching one that is intellectually, socially and culturally rewarding and would encourage you to embrace the opportunities provided by the University. The Faculty cooperates with many other pharmaceutical Universities in Europe and with pharmaceutical companies. These partnerships allow the exchange and practical training of students and teaching staff, join research and educational initiatives. 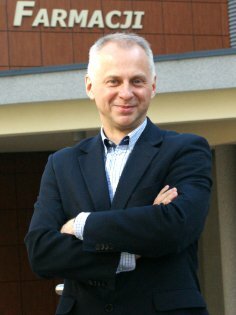 Prof. Wojciech Miltyk, MPharm, Ph.D.